It's time to get a bit more personal on the blog. I often don't share too much of my personal life because honestly it's not that exciting. Today, I am letting you all in a secret that I have lived with for many years, until now! Probably my biggest fear is going to the dentist, I think I have dental anxiety as I cry almost every time I go. Due to my dental anxiety I did not go to the dentist for a few years, I just couldn't muster up the strength to put my pride aside and deal with whatever dental problems I had. My New Year's Resolution for 2016 was, you guessed it, to go to the dentist and get my dental health in order. I researched dentists in my area and finally decided on one, and let me tell you, he changed my entire dental experience. The office was so welcoming and the staff did not make me feel shameful for waiting so long to come. O.K so I had a cavity, one tooth was in dire straits (it was extracted), and I was told my bottom wisdom teeth would have to come out (I have been told this before so it was not a shock). I decided to tackle one dental issue at a time saving the wisdom teeth until the end. This past Monday, I faced my largest dental fear and got my wisdom teeth out. If you follow on snapchat then you know that I was definitely distraught about the surgery. Fast forward to today, and although the surgery didn't go as smoothly as the dentist would have liked, I am doing really well. The best part is that I am so proud I finally faced this fear and now I can move forward. So what does this have to do with today's post? 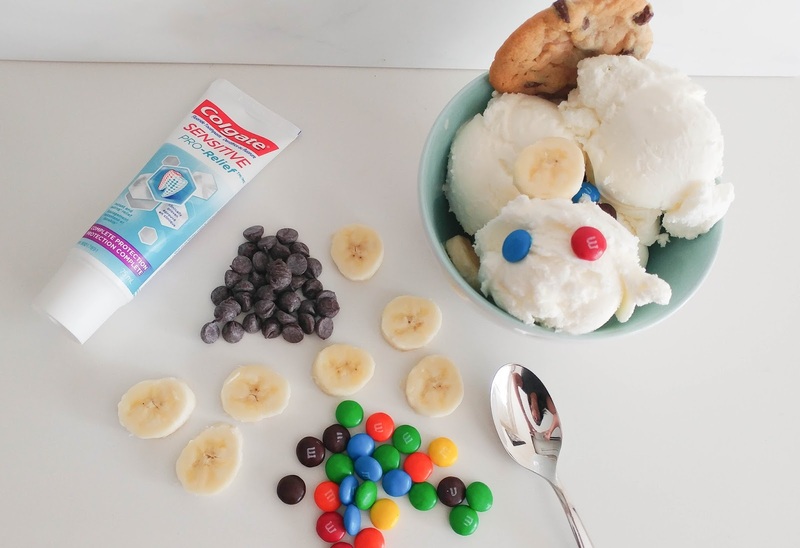 Well I have teamed up with Colgate to let you in on the secret product that I have been using all week after my wisdom teeth extraction. 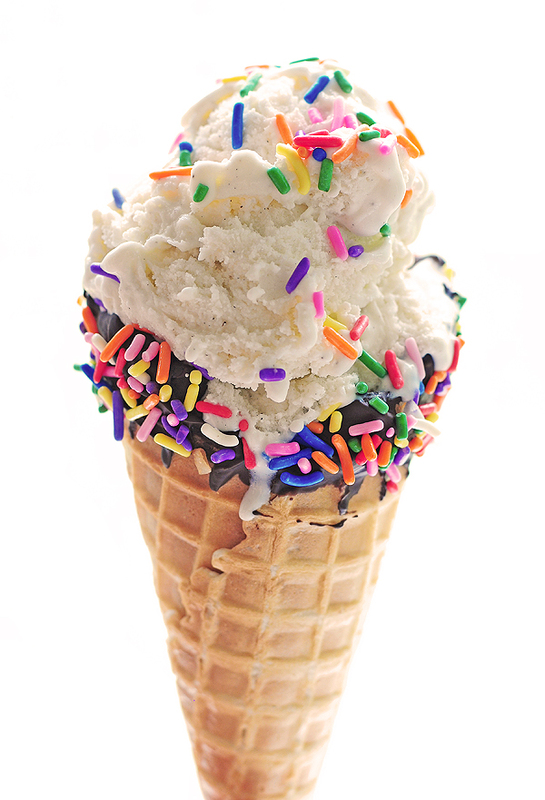 If this ice cream cone below makes you say ouch, then you probably have teeth sensitivity. Trust me, you are not alone as teeth sensitivity is very common. Well if you are saying, "that's me", this Colgate product does something no other teeth sensitivity product does, it provides instant relief. The Colgate Sensitive Pro-Relief toothpaste has clinically proven results that provide you with instant and long lasting sensitivity relief. You can use a little product on your finger and apply it to the sensitive area in your mouth and the results are amazing. This product has a slight cooling, and numbing effect that targets the pain caused my hot, cold, sweet, or sour foods. It is also a toothpaste, that when used twice daily for brushing helps to repair sensitive teeth for long-lasting protection. I have been using the toothpaste on the teeth close to where my wisdom teeth were extracted and it helped to ease the discomfort I was in. Don't worry I did not touch the extraction sites, and followed my dental recovery tips. I did use the toothpaste all week for my regular brushing and it did make a huge difference and helped some of the pain from my wisdom teeth extraction to ease. Also in the Colgate Sensitive Pro Relief line is a mouthwash, and a 360 degree toothbrush with a sensitivity pen. The mouthwash is alcohol free and with regular use protects the teeth from acid wear and builds a long lasting barrier on the teeth. I have to tell you, I really enjoy the taste of this mouthwash. I only got to use it a few days before my wisdom teeth extraction and as soon as I get the go-ahead (rinsing and spitting are not recommended for me right now) I will begin to use this on a daily basis. 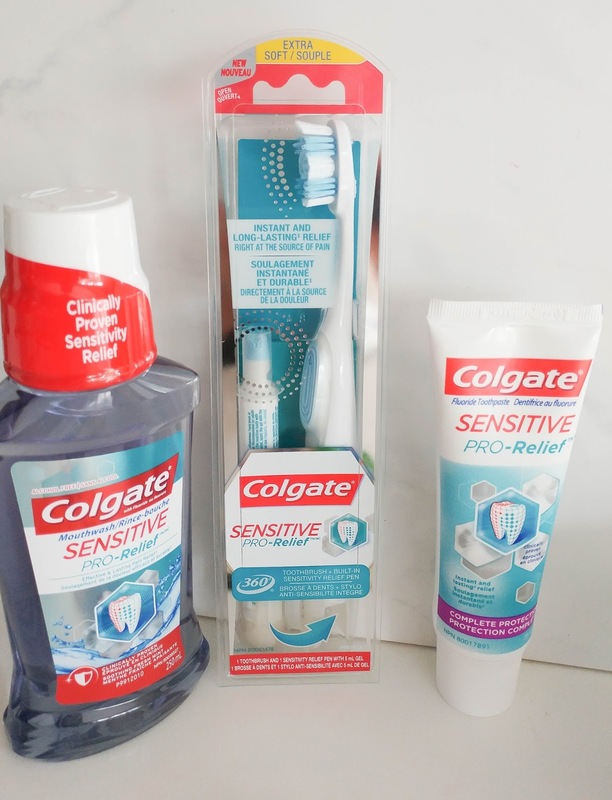 The Colgate Sensitive Pro-Relief Toothbrush and Sensitivity Pen is definitely changing the toothbrush game. The 360 degree brush works to get in those hard to reach places and give you the best clean possible. Add in the sensitive relief pen and say bye bye to sensitivity! The Sensitivity Pen helps to shield the exposed tooth nerve and gets rid of the pain. I love the Sensitivity Pen because you can also throw it in your bag and use it for on the spot relief, I love products with dual uses! The Colgate Sensitive Pro-Relief line is available at your local drugstore, grocery store and big box stores! I highly recommend you try this line! 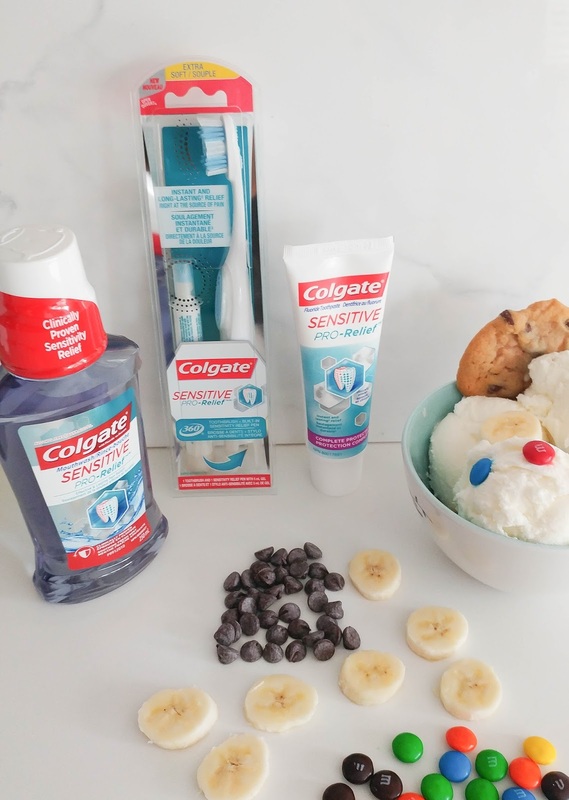 Thanks to Colgate for sponsoring this post, all views and opinions are my own.